The T-1000 might be made of liquid metal, but it seems the original T-800 model is made of liquid gold, because that is a form of currency, something the new Terminator movie is currently racking up like it’s a pool table. 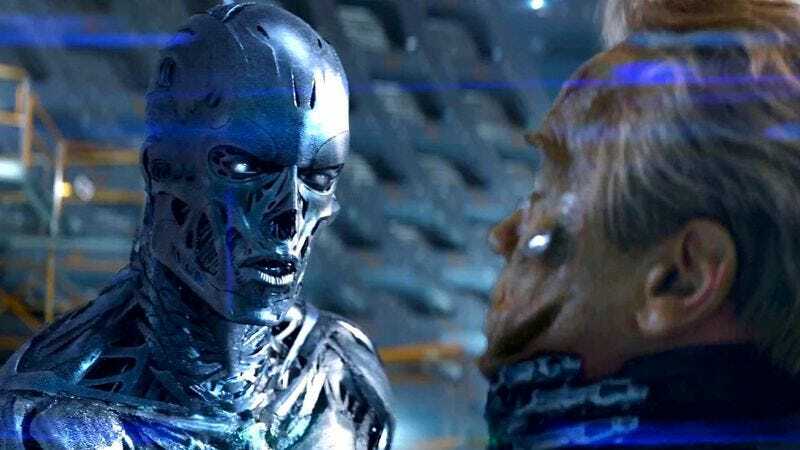 According to io9, Terminator Genysis is utterly annihilating the Chinese box office, earning $27.4 million on its first day, making it the fourth-biggest U.S. film opening ever in that country. And all of that without any clumsily shoehorned-in pandering to our Asian neighbor. In case you’re wondering, the answer to the obvious question is yes—this means the odds of a sequel to the nationwide box-office flop just went up significantly. On a scale from “Terminator Whatisys?” to people naming their children JohnConnorGenisys, the percentage of a sequel now stands at seven grinning Arnolds cashing robo-checks. Despite only making $89 million domestically on a film budgeted at $155 million (not including the cost of that ill-conceived marketing campaign), being on track to become a smash hit overseas just might make it worth the cost of mounting a sequel. It’s not unprecedented for a film that underperforms in America to get a sequel if it does boffo business abroad, but, as Forbes’ Scott Mendelsohn points out, for “a film to outright flop in America and yet potentially become one of the biggest American exports of all time in China, well, that’s a game changer.” The most wearying part of this story isn’t that we might get an equally milquetoast sequel; it’s that a movie making $89 million is considered a flop. In unrelated news, the combined salaries of everyone currently reading this isn’t enough to pay for the cost of bringing to life a CGI robot opening a door for eight seconds on screen, so everything in our country is as it should be.